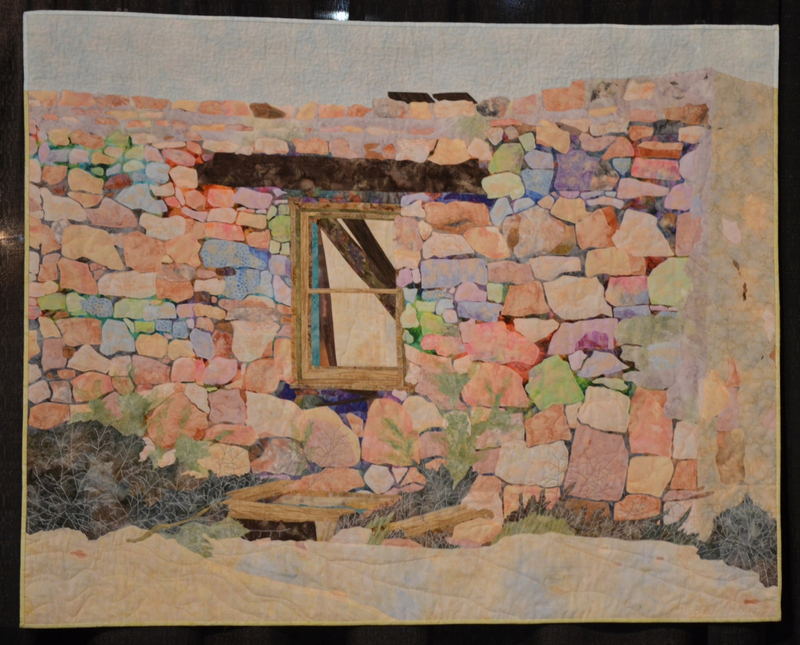 More quilted beauties from the International Quilt Festival Houston 2012. Pink Snow by Vivian A. Kapusta, Canada. 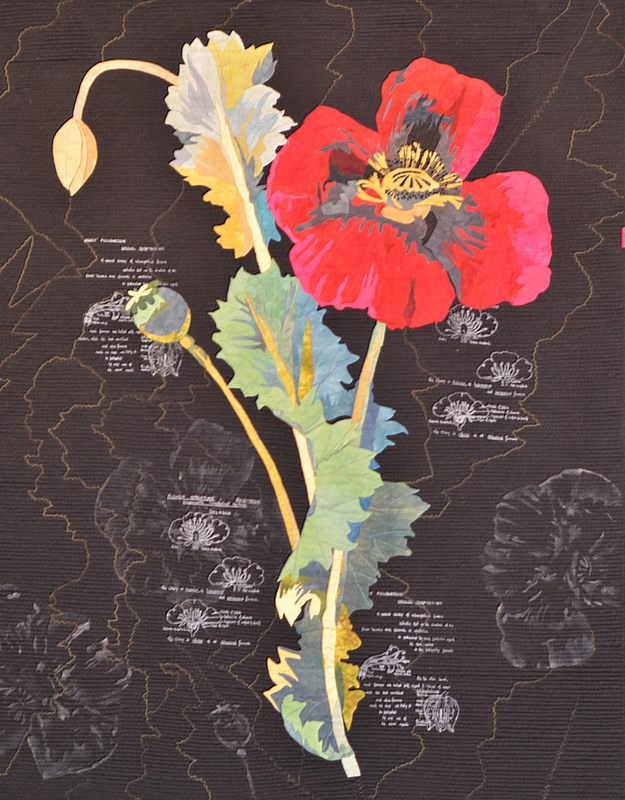 Papaver Somniferum by Grace Meijer, United Kingdom. The Button Box by Rebecca Navarro, Texas. Detail of tree branch covered in button flowers. Leaf Like Life by Dalia Eliraz, Israel. 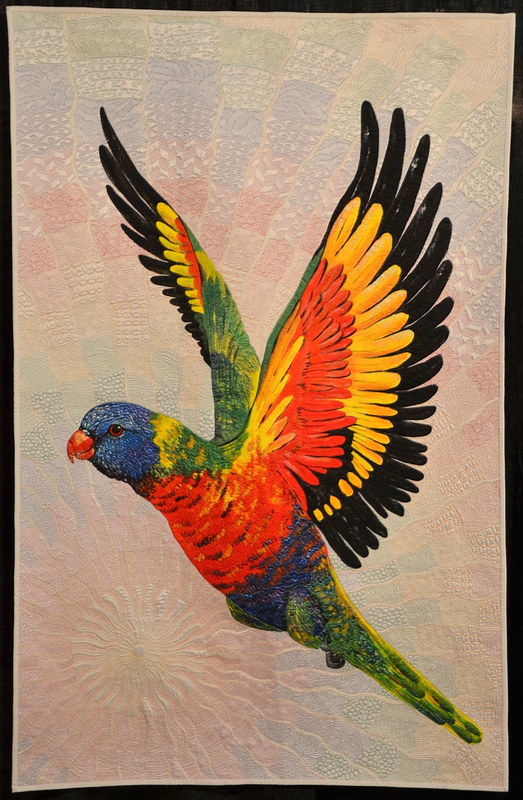 Rainbow Lorikeet by Helen Godden, Australia. Honorable Mention – Art Painted Surface. 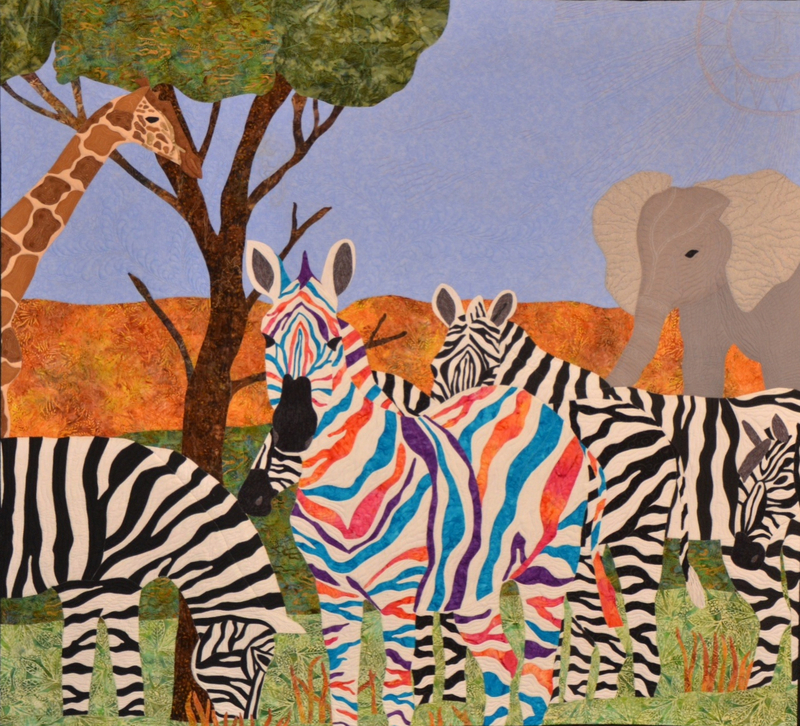 Show Your Colors; Stand Out From the Crowd by Kristin Vierra, Nebraska. 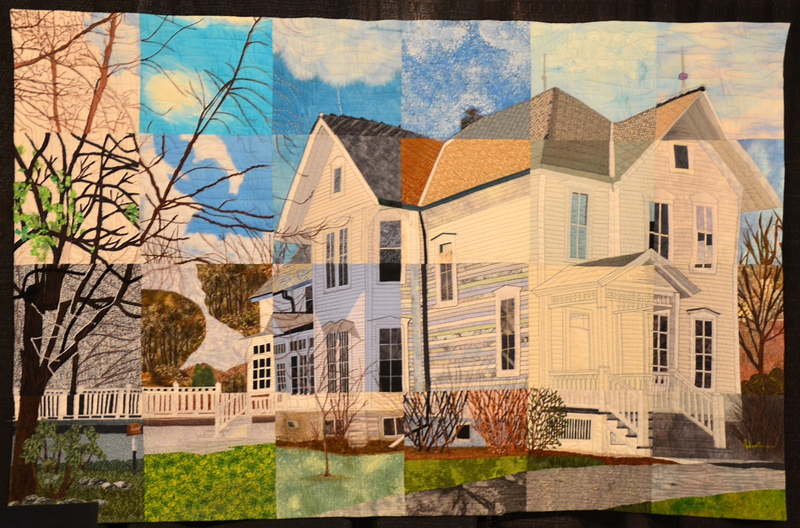 Berne House Quilt. 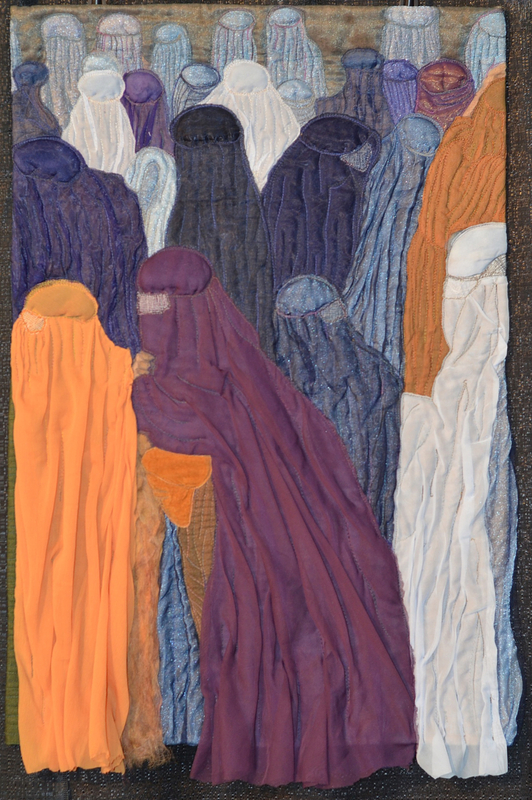 Made by members of the Bernese Quilters in Switzerland. 150 different blocks were made separately and then put together. Colores by Michelle Jackson, New Mexico. 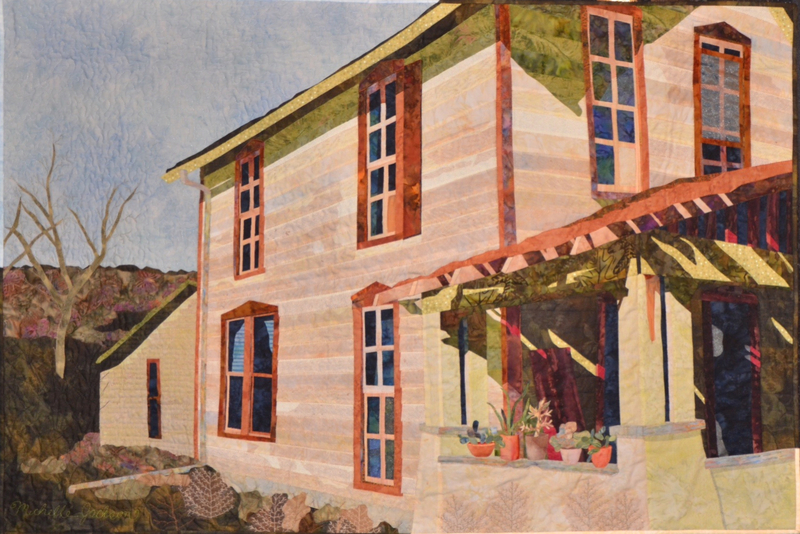 The quilter was inspired by a photo of an old adobe house in New Mexico. 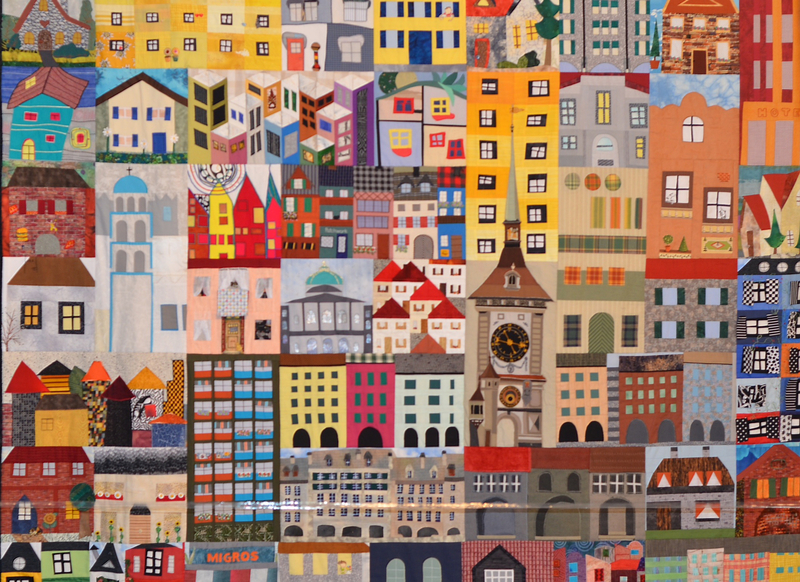 Tutti Frutti Village by Susan Bleiweiss, Massachusetts. 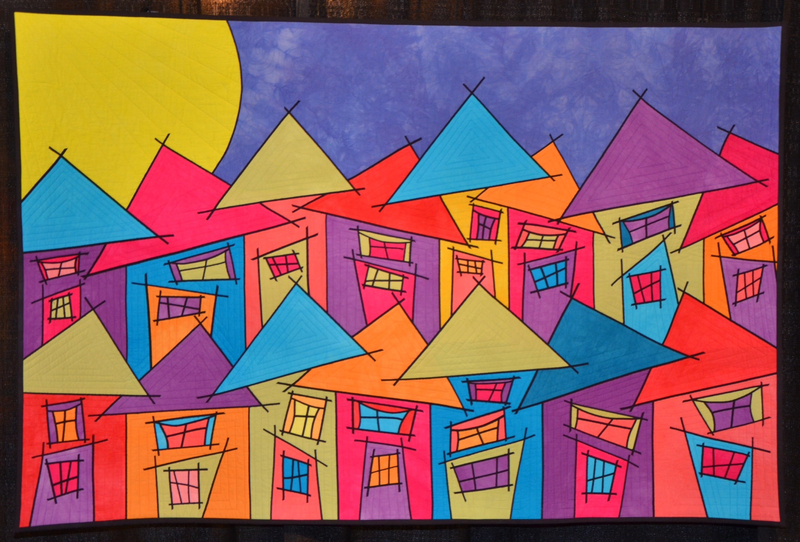 Honorable Mention – Art Whimsical. 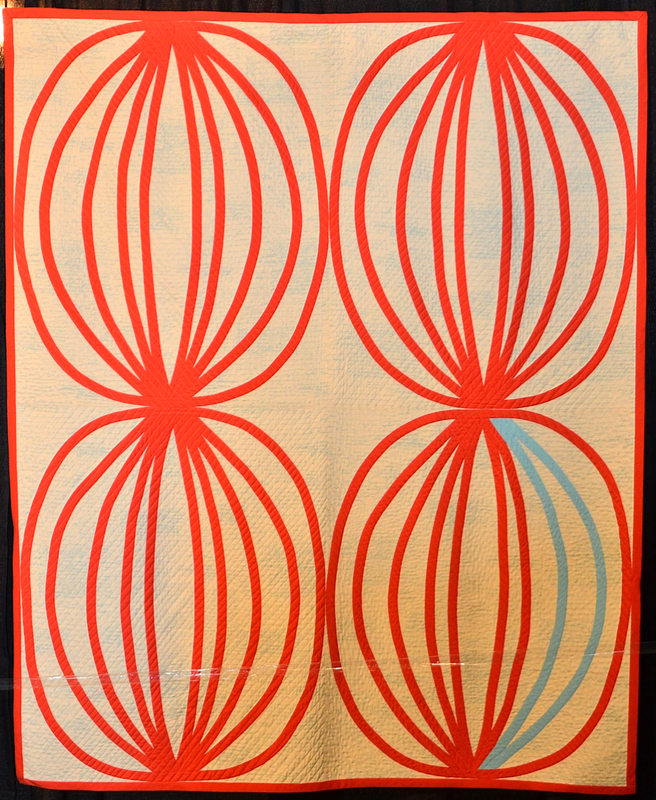 The quilter used hand-dyed sandwashed cotton. Lady Dova by Deborah Stanley, California. 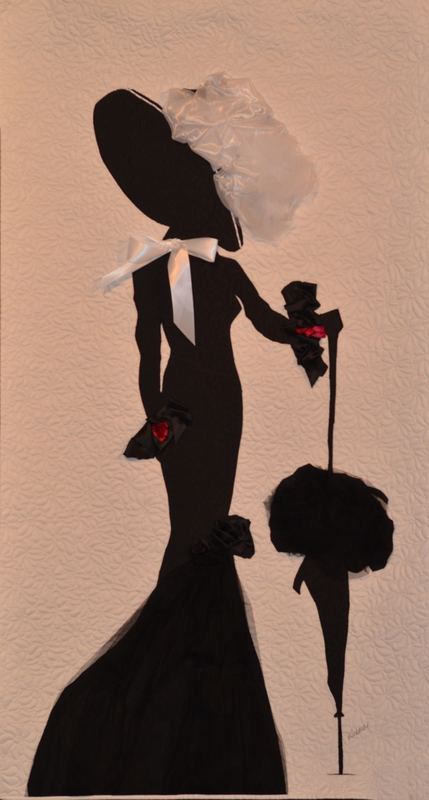 Inspired by the horse race scene from My Fair Lady. Searching for Coco Chanel by Teresa Shippy, California. 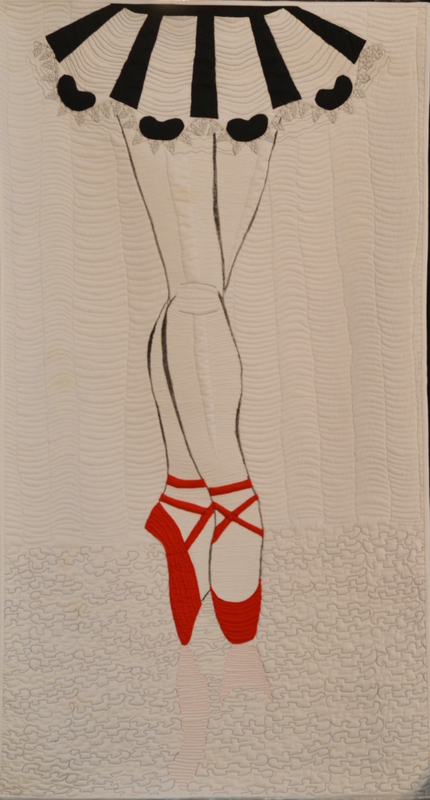 The Red Shoes by Linda Stone, California. Flamenco by Jin Gook Yang, Korea. Wrath by Dianne Firth, Australia. They are, aren’t they? I especially loved the houses. The cherry blossom/Flora hit the spot for me! 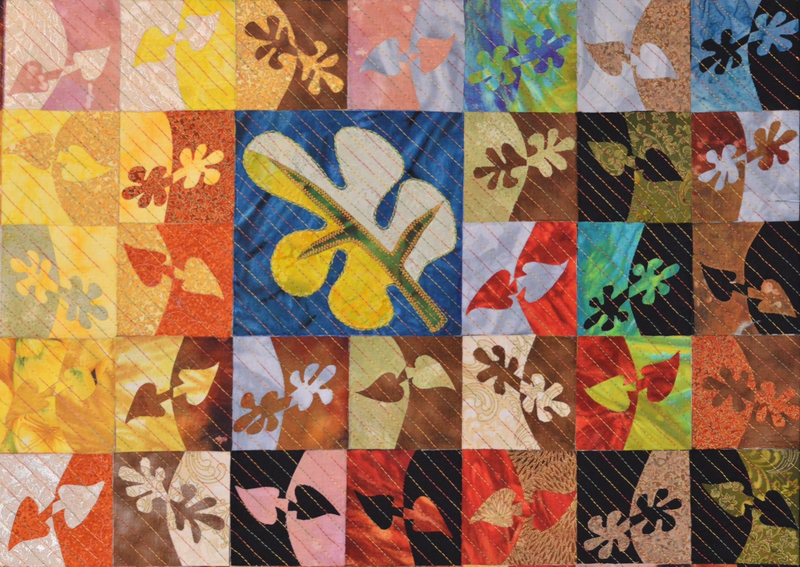 I think I’m drawn to non-traditional quilts, although I love the traditional ones too. I like non-traditional better, I think, although I respect the quality of craftsmanship in traditional. 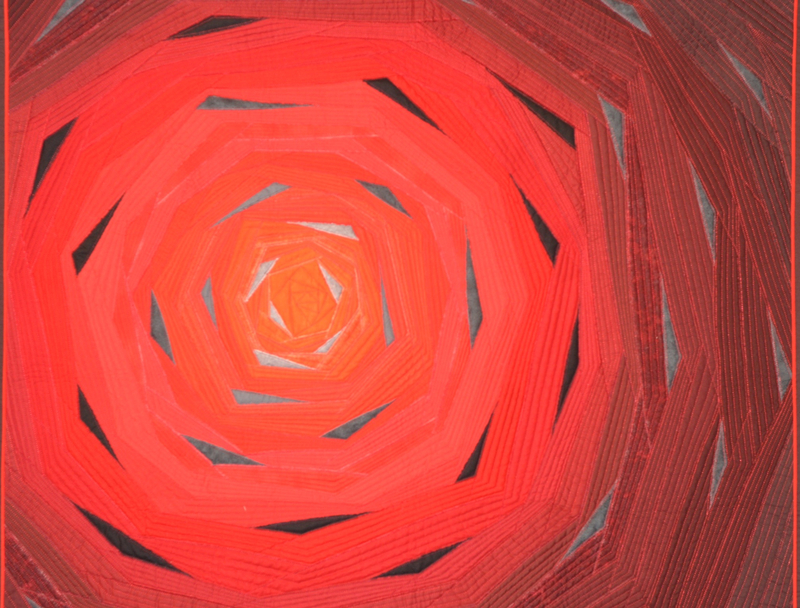 But I didn’t take too many pictures of pictorial quilts – I went for all the abstract and geometric ones. They’re the ones that really grabbed me – this time. Another day might be different! I felt dizzy looking at them all! How beautiful!! I have shared with a quilting friend and she loves them, too! I’m glad. I highly recommend this festival. I think they hold them in various places, not just Houston. They are amazing. If you want to see detail, I recommend enlarging the pic. I am overwhelmed now and must go lie down and put a cool cloth on my forehead. LOL! Glad you liked them. 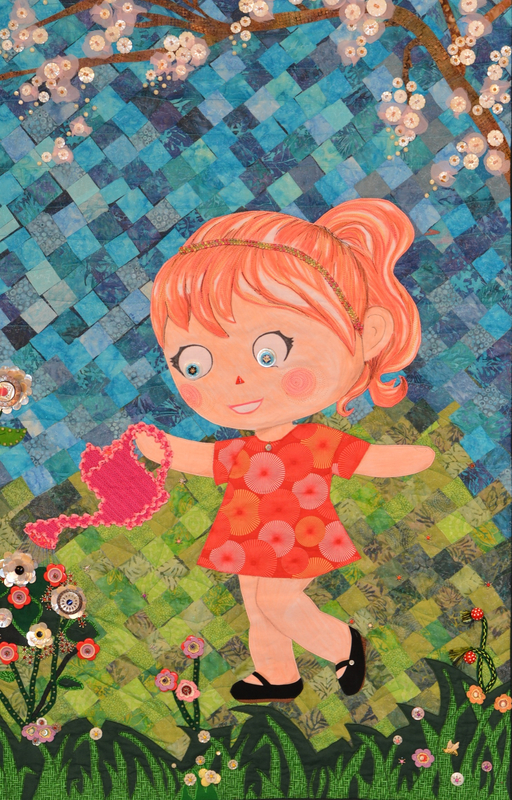 Seriously… quilting has been taken up a notch! No kidding. They look like works of art. Thanks for sharing these Veronica. They sure are inspiring! They are and a bit intimidating too. I liked that one too. I think it was in the “Art-Whimsical” category. They are stunning! Thanks for sharing these pictures. So glad you liked them. 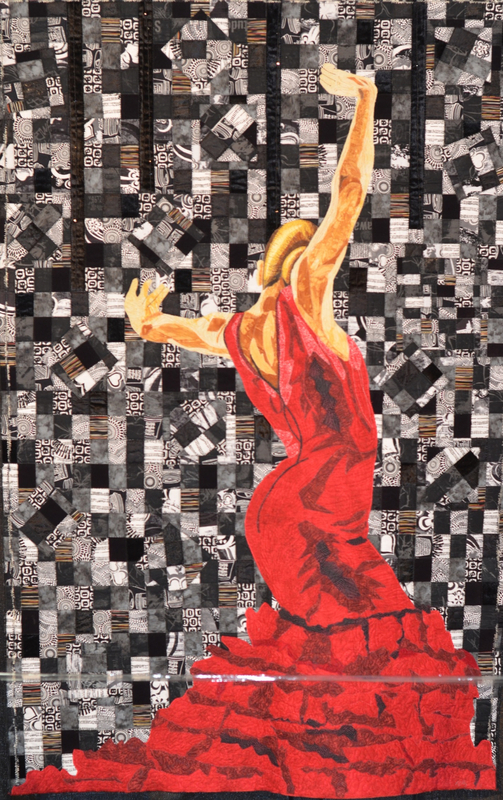 I am amazed at the skill of these quilters. 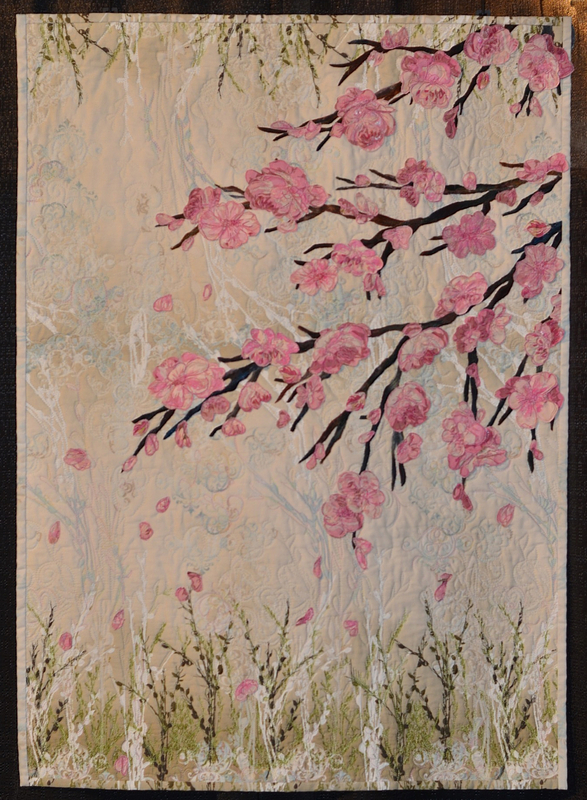 Thank you for the comments on my Pink Snow … it was originally made for the Vancouver Cherry Festival. 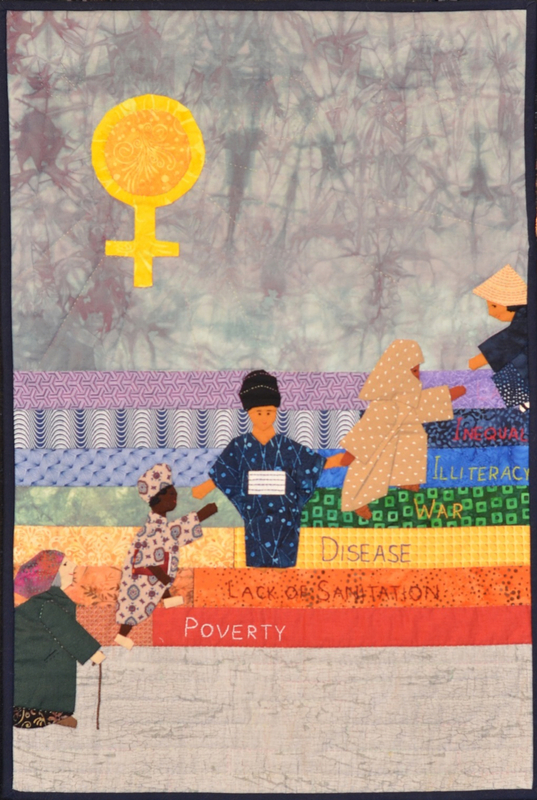 It was one of the first quilts I saw and loved it. 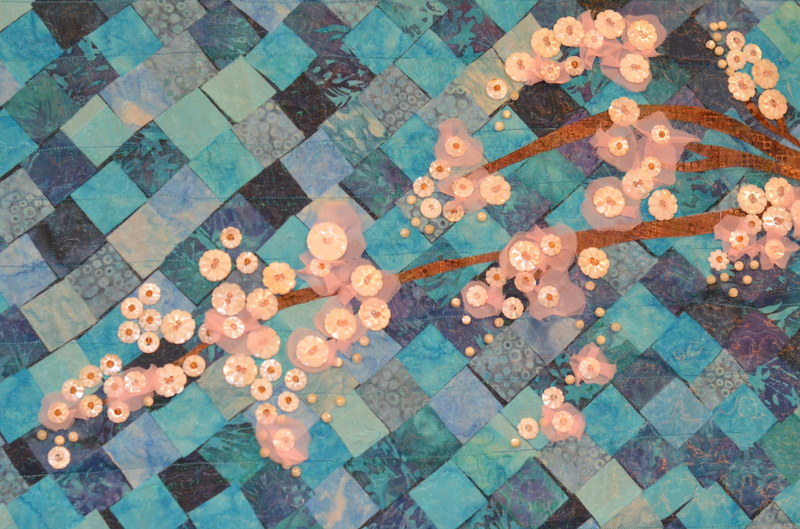 I like the story that inspired it for you, the pink cherry blossoms falling on the ground. 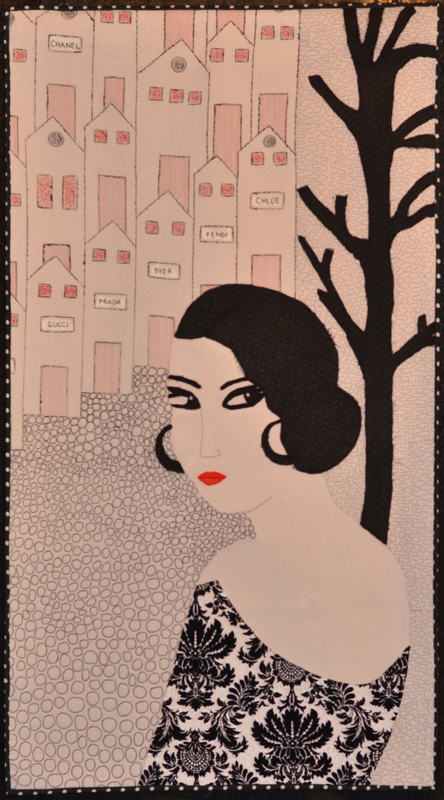 Your quilt captures it beautifully. I am so pleased you stopped by my blog. I was truly in awe of the amazing quilts I saw at the festival.